The power supply doesn’t nearly get the attention it deserves. It is a hardware component with a heartbeat that brings life to electrical devices by providing power. Our daily interaction along with the frequency of usage makes this device’s output commonplace. Power supplies convert alternating current or direct current into direct current. They offer wide AC/DC input voltage ranges to accommodate global compatibility, which cover most line voltages and accept wide frequency ranges. The typical output voltages are a stable 5V, 12V, 24V, or 48VDC industry standards. 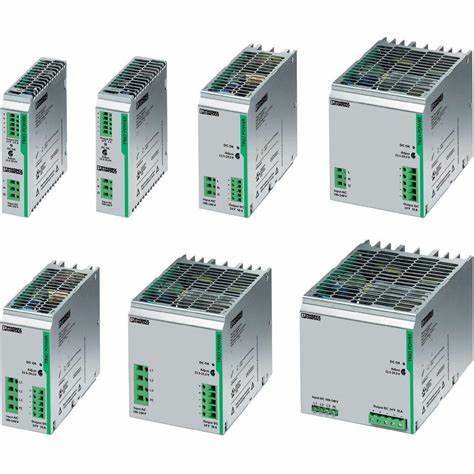 With endless amounts of applications across many industries, we will narrow the focus to its use in industrial control panels, specifically DIN Rail mounted Power Supplies. 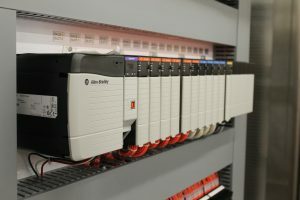 DIN Rail is globally accepted as standard for mounting components within an industrial control panel. The DIN rail is attached to a backplate, which is then fastened within an enclosure. The process of selecting a Power Supply varies by the client’s specifications and your individual methodology. This is an abbreviated version of what you may consider, most importantly touching on Standards, Features, Functionality and Applications. these devices are reaching higher levels of sophistication. Our reliance on power supplies reminds us of the important role they play. In our next article, we will explain more about options and functionalities that different power supplies have to offer.